Our world is permeated throughout by waves and vibrations. When we hear, it is waves which pass through the air and strike our ears. When we speak, we produce vibrations in the throat. When we turn on the radio and television we tune into various wavelengths. We speak about electromagnetic waves and we all know about light waves. In the case of an earthquake, the whole ground vibrates and seismic vibrations are created. Even the stars pulse in a certain rhythm. And our own bodies are permeated by vibrations. Blood circulates through us in waves. We can hear the heart beat. When we tense the muscles in the arms and legs, they actually begin to vibrate – complicated chemical and bio-electrical processes in the muscle fibres take place in a series of vibrations. By using an accurate instrument called a tonoscope, vibrations can be produced in, for example, fluids or in sand. This can reveal a whole world of activity and effects. The name “Cymatics” was chosen for this area of study (kyma, Greek for wave, kymatica, to do with waves) (see the article about Sound and Form). In the study of wave phenomena, we are not just concerned with the forms that are created, Dr. Hans Jenny explains, but also with the way they are generated. By systematically producing vibrations with a series of tones and sending them through different materials, living patterns appear which reveal the possibility of movement, which is inherent in, for example, a heap of sand. The vibration takes hold of the grains of sand and moves them according to the way in which the field of vibration is arranged. We observe apparently free dynamics when the grains of sand move. Experiments show, however, that when the movement of the forms or elements is kept going by the vibrational process, then it occurs on the basis of a certain regularity. We encounter three components in this connection: energy, form and movement; vibrations or sound waves which become visible as forms and movement. It is, therefore, not just sound forms which are produced. Certain vibrations, which are called phases, cause the particles to form currents. These currents run side by side in opposite directions, as if following a law. Or the vibrations change and cause a revolving movement. The sand or the fluid turns around a point. These revolving processes are stable and continuous as long as the vibration is transmitted. The material which the sound influences is not thrown out to the side. If coloured sand grains are used to highlight the rotating piles then it shows that the pattern of the movement is constant. It begins and is kept going solely as a result of a certain tone or vibration. Although all the facts with which we are bombarded have a tendency to dull our minds, the reaction to this world of sheer waves is one of surprise. The phenomena which appear in the experiments have surprised both the scientist who discovered them, artists and the rest of us onlookers. We look at photographer J.C. Stuten’s pictures of Hans Jenny’s work and we see the living processes on Hans Jenny’s films. 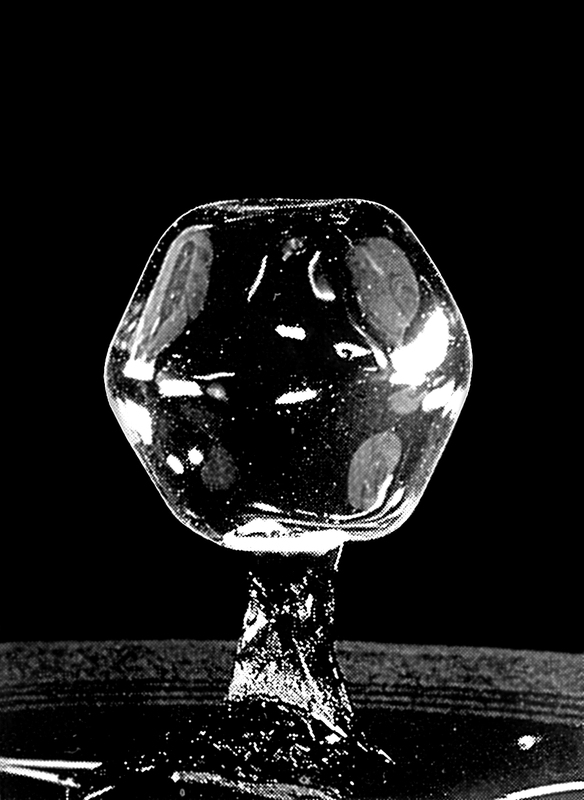 Right in front of our eyes, we witness how the sounds create forms from different material, such as sand, in a mash of liquid clay, of soap bubbles, in liquids, and so on. The tones produce geometric forms, globes, crystal-like figures, landscapes and, not least, galaxy-like spirals, which constantly move in the same way as the galaxies in space, as we have learned from people who look through telescopes. We remain both pensive and strongly inspired. We begin to wonder whether the claim by scholars, philosophers, scientists and yogis from antiquity to the present day, is a fact – that the whole universe, from the smallest cell to the biggest nebulae, is formed and maintained by only vibrations. Spores of moss (lycopodium) form a galaxy of small globelike piles. See the picture above. Each pile rotates on its own axis and also rotates as a single body in relation to the other piles, like the elements of our solar system. In another experiment a cyclical sequence appears in a mixture of salt and water. The salt collects itself in round formations – only to change and break up again. 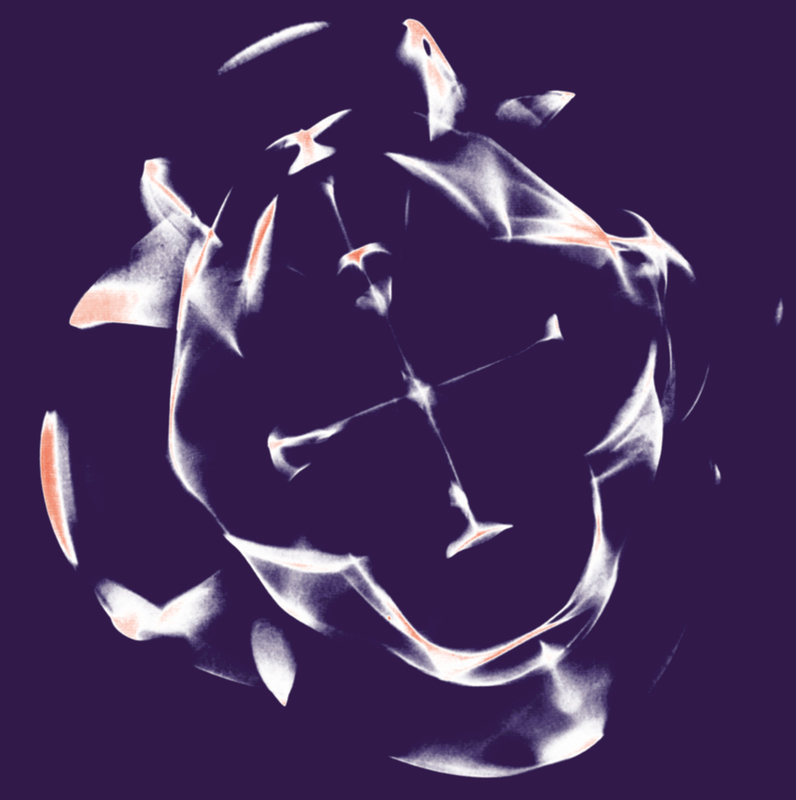 At an unchanged frequency and amplitude, these regular cycles repeat themselves. They build up, last for some time, and then dissolve again at the same constant tone. The picture at the end of this article (below) is the result of two simultaneous tones which create a compound of two basic, different forms. The same happens in completely different fluids (ether, alcohol, water, petrol, glycerine, turpentine, paraffin, albumen, etc.) which flow over a membrane, but not in the membrane itself. An interesting detail in Dr. Jenny’s investigations into sound forms in fluids and gases is that if you first produce a disturbance in a fluid, gas or in a flame, then it becomes sensitive to the influence of sound. Does this also apply to me? When I am disturbed, am I then influenced by emotional vibrations from myself, from other people? And does it also apply to sickness? Isn’t that just what I realise when I experience peace in meditation or relaxation? I take a break from the influences and recharge. 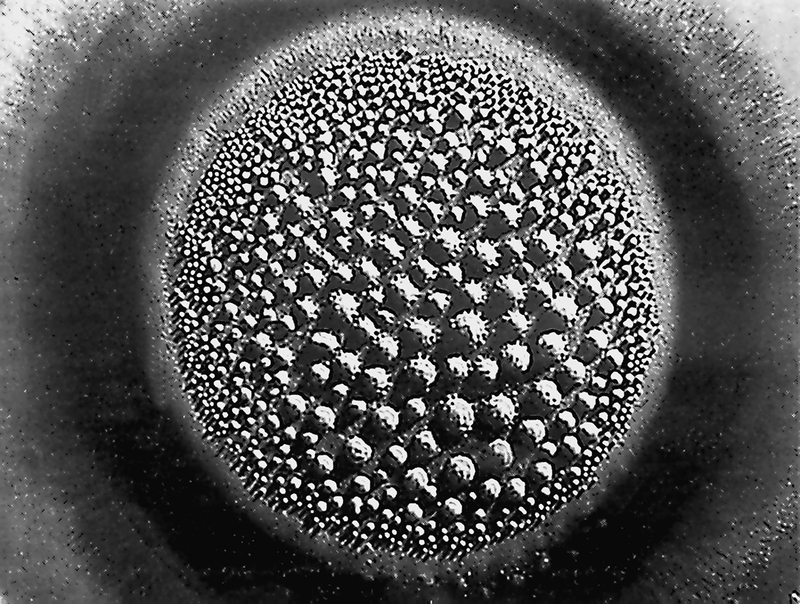 Sources: The book Cymatics vol. 2 by Dr. Hans Jenny, 1974 Basilius Presse. The films of the same name by Hans Jenny, published in the USA, in 1986 and 1992, by Macromedia and finally the article The sculpture of vibrations by Hans Jenny in Unesco Courier, Dec. 1969. The material is reproduced with the permission of Mrs Maria Jenny.